Holy crap, Baron Fig launched a TON of products this year. Where some of the other companies just stuck to what works and iterated on already established markets, Baron Fig jumped into almost everything stationery related this year. This humble author may even say too many things, and not without controversy. 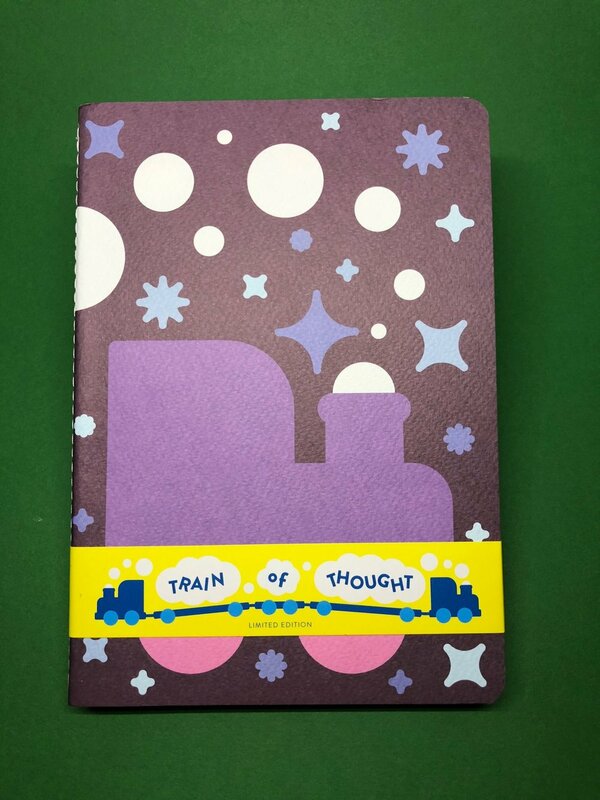 The themes of their Limited Editions are always a bit more of the high-minded "big idea" type than some of the other stationery companies and never about a particular noun. This year, Baron Fig stopped the subscriptions for their 4 main product lines, though subscribers are still going to get quarterly releases until their subscription is finished, depending on when they started. I bought the Confidant, Vanguard, and Archer pencil subscription when they first launched, so I'm only owed one Archer pencil. There is also another remaining Squire for early subscribers, but there's no way to tell how many more quarterly editions are needed for people who subscribed later in the process. Cancelling the subscriptions caused a bit of a kerfuffle from the lack of announcement about it; they just kinda took it off the website. There was a later email sent to current subscribers saying that they'd stopped, that all subscribers would get what they were owed, but there would be no renewals. Personally, I'm fine with it. In my opinion, it will allow them to focus on some of the other items for limited release, like making specialty pocket notebooks again, or doing something special with their bigger sized Confidants. Whatever it is, I'm in. Debbie Millman designed this book and it's "unruly" ruling. Basically hand-drawn lines, some more messed up than others, none completely straight. I hated this one, because when I subscribed to buy 4 Confidants in a year, I was basing it off of what Confidants had been up to that point. This was a shock, and for me, a disappointment. Full review here. This was more like it. I loved the color and the theme. Peach/pink cover, lovely blue ribbon. Full review here. This is what I like about Baron Fig: working with an artist, telling a good story. The book itself is really nice, has embossed bees, and a lovely red cover. This is what I'm starting my 2018 Bullet Journal in. Full review here. I liked this edition, but for other people. I don't sketch for sketching's sake, nor do I use blank paper. But the idea here was each page had a partial piece of a photo, in a very light non-photo blue, and you could finish the sketch to spark ideas. Or, because it is so light, if you use your Confidant with pens, you could just write over it. Full review here. I really like the Vanguard for quick journaling. The Infinity was a nice one to do nightly pages in, and I filled 2 of them in quick order. Full review here. The idea was that blank pages gave you a clear runway from which to launch your ideas. I'm not a fan of blank, but I liked the covers. Some sketchers loved this because the Baron Fig paper is good for a lot of different mediums, and they were able to get it in a pretty book. Full review here. This is one of the few true tributes Baron Fig have done. They made their own Composition book. I would've liked to see this in the larger Vanguard size, but since it had to be Flagship sized for the subscription, that's what we got. If they were ever to bring anything back, or make any LE design "full-time" I would say the Composition in the Plus size should be it. Full review here. Wow...what a crazy edition. A fun, trippy, child-like edition designed by artist Zipeng Zhu. The best part about this one? None of the trademark BF minimalism here. It is all about fun and happiness, and as much of it as possible. Full review here. They didn't really follow the quarterly thing so much here, but instead released them as often as they could, I suppose. There were 3 Archer releases this year. Awesome look, terrible quality control. Shattered, crumbly cores that didn't didn't match the original Archer, even though they were supposed to. When complaints were lodged, the story changed and they were supposed to be "softer". That didn't change the fact that every time one was sharpened the core fell out. In my opinion, a worse issue than even "Bag-gate" which I will discuss later. They should've recalled these. Avoid like the plague, which shouldn't be hard to do, since they somehow sold out. Full review here. Sooooooo much better, and proof that Snakes & Ladders was a QC issue. I liked the Saved By The Bell aesthetic. Full review here. Released in conjunction with the Composition notebook, the #2 is a vintage Ticonderoga tribute. People have been begging Palomino to make a yellow Blackwing forever, but Baron Fig beat them to the punch. I still wanna see a yellow Blackwing, though. Full review here. I didn't subscribe to the Squire, but I fell in love with this pen later on in the year., to the point where it is basically the only non-fountain pen I use these days, as long as the paper I'm using can handle liquid inks. Black with a white imprint of the Alphabet running vertically down the pen barrel. Had I known I would've loved the pen at the time, I would've bought it. Sold out very quickly. Green barrel with green ink. They use re-branded Schmidt refills, and I find the green ink to be a bit too emerald for my tastes. If it was the same color as the barrel, we'd be in business. So I put a black refill in it. This is the only Squire I've seen with a sizable gap between the twist mechanism and barrel, but it doesn't affect the performance. This one was a little disappointing. The promo pictures were black and white, so many people were led to believe this was another black pen. Unfortunately, this has a bit of a purple sheen to it, and looks a little closer to the standard charcoal Squire than anything. Regardless, I like the color and it is probably my most used Squire. Full review here. Baron Fig nearly tripled their offerings this year, adding a ton of new products and expanding options to existing ones. New Plus and Pocket sizes were added to the Confidant line, as well as new colors for the Vanguard line, which already had Plus and Pocket sizes. They added colors to the Confidant leather cover, called the Guardian, and released a leather Pen Sheath for the Squires. Red and green ink options were added to the Squire refill line, new pen body colors, as well as an aluminum pen stand. Paper products for desk use was a big category this year, with the Mastermind (dot-grid desk pad), Nomad (dot-grid sticky notes), Mastermind Week Pad (week-at-a-glance desk planner), and Strategist (dot-grid index cards) all added to the mix. I didn't think I'd use many of them, but the Mastermind desk pad saw almost daily use for me once I figured out a way to get it into my workflow. Baron Fig entered the bag category this year via Kickstarter. They didn't make just one bag, but three: a backpack, a messenger bag, and a tote. Each were done in the typical minimal BF style, very simple, thin profiles, and designed to hold the essentials and not much else. These bags aren't for every use, but for the times when you just need to carry the essentials: notebook, laptop, some writing utensils, and a few other things. These are not bags for school or carrying all your world possessions on your back. But for the purpose they were built for, they do the trick. I got the messenger bag, and for the most part, I'm happy with it. I need more time with it to truly have an opinion. Unfortunately, there was an issue with the bags. I'll preface this with saying that in the grand scheme of things, this is a non-problem. It's nowhere near as big of a deal as it became on stationery Twitter. But there was a color issue with the bags. Essentially, the colors came out lighter than they originally had planned. The Slate Blue became a little more sky blue. The Fig Wine a little pinkish. The charcoal bags more like the light grey. I give them the benefit of the doubt because entering into a new market and working with fabric is a new design experience for them, and design is all about iteration and failure. The problem, however, is that it wasn't communicated as early as it should've been, and we backers only found out after the bags had shipped, but before they arrived. To their credit, Baron Fig were willing to accept returns, no questions asked. I don't hate the blue of my messenger bag, but would have probably picked charcoal if I'd have known and seen a new image of the new colors. However, I decided to keep it, perhaps as a big middle finger to all the people who blew the whole thing out of proportion. If you're interested in hearing the entire story, listen to Episode 17.5 and Episode 17.75 of the RSVP Podcast, where you'll hear from the accused and the accuser. Less does a great job of moderating and cooler heads eventually prevailed.